Create a reference to support you in all stages of your job search. While filling out more forms is probably the last thing any job seeker wants to do, do not skip this worksheet! A Strengths, Weaknesses, Opportunities, and Threats (or, SWOT) analysis can save enormous amounts of time throughout the job search process. Personal SWOT analysis questions guide job seekers to identify their key competencies, major areas for improvement, industry prospects, and career obstacles. The following personal SWOT analysis worksheet is designed to produce a highly effective reference document for writing your resume and cover letter, preparing for interviews, negotiating salary, and filling skill gaps to push your career to the next step. Download the editable template using the button beneath the article summary to get started building your own. The SWOT analysis for job seekers begins with an exploration of strengths and weaknesses. These fall under the “internal characteristics” category, meaning your answers should be focused on who you are as a professional, rather than on outside influences on your relative successes or failures. Try to connect each response to an example from your work experience. Leverage your strengths in order to show prospective employers the benefit you will bring to their organizations. Answer these questions to determine specific areas of value. What tasks do your colleagues and/or supervisor always delegate to you? What are your most notable achievements? What do you like most about your field? Do you hold any advanced credentials or supplementary certifications? Complete the following personal SWOT analysis questions to identify a few industry-specific points of weakness. 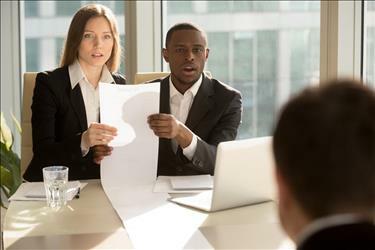 To overcome these weaknesses (and ultimately make your resume more attractive), find professional development or unpaid opportunities to help build your competence in these areas. With what assignments do you usually require assistance from others? When have you received criticism from past clients and/or supervisors? What types of tasks do you tend to avoid? How would you complete this sentence: “When _________, my job performance is negatively impacted”? Are you missing any credentials frequently required for jobs in your field? Rate yourself in the following traits where “5” means the item is one of your core strengths and “1” means the item is a core weakness. Personal Qualities: to what extent do you embody the following traits? Problem Solving/Critical Thinking: how well do you perform the following functions? Hardware – installation, repair, etc. Soft Skills: how competent are you in the following categories? Leadership Characteristics: to what degree are you adept at the following? Industry-Specific Skills: find 5 specific skills not listed above and assess yourself on those abilities. The second half of this self-exploration encompasses opportunities and threats. The following personal SWOT analysis questions investigate conditions in the industry and other external forces influencing your chances of getting a new job. To complete this part, you may need to do some research. Resources for this include: the Bureau of Labor Statistics’ Occupational Outlook Handbook, O*NET, any industry publications, and iHire.com. Assess where your job applications are best directed with the following probes. What advancement options exist for your career? Are there any new fields or specializations developing in your industry? How can you grow your network to include more and/or stronger contacts? What career-relevant volunteer opportunities are available? These questions will help you anticipate stumbling blocks they arise so you are prepared to overcome them before they become a major problem. How strong is the competition in your sector? What obstacles stand between you and your dream job? How do your salary/benefits needs match up with average compensation for your profession? When do you need the new job? Rate your sector on the following traits where “5” means the item represents opportunity for your career and “1” means it represents a significant threat. How quickly are new jobs appearing in your market? Higher opportunity occurs when your qualifications and strengths match areas of need in your industry. Conversely, if most of the demand for your competencies is already satisfied, the situation is more threatening. Rate how well your level of experience matches the typical requirements for positions you’re applying to. 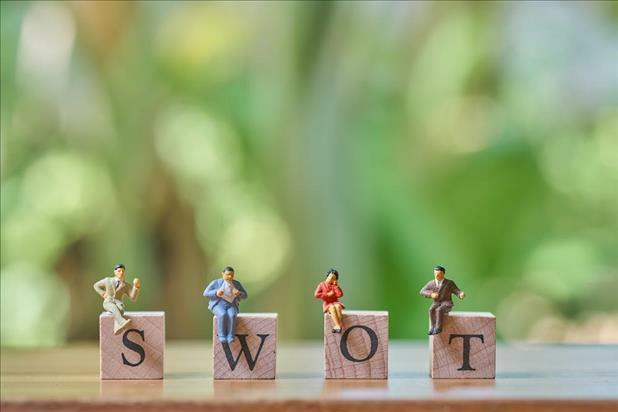 This personal SWOT analysis for job seekers is a reference to support greater self-awareness for applicants struggling to sell themselves or move up in their careers. Whether you’re drawing on the strengths segment to build your resume’s core competencies section or just briefly reading through the document for last-minute interview preparation, having this personal SWOT analysis worksheet on hand can cut significant time and stress from the process.